911uk.com - Porsche Forum : View topic - My 997 Carrera S progress..
911uk.com Forum Index > 997 (2004 - 2012) > My 997 Carrera S progress..
AOS on these is much easier than a 996 and they dont tend to give the full on bellowing smoke .. but can give as with yours a puff more than normal. 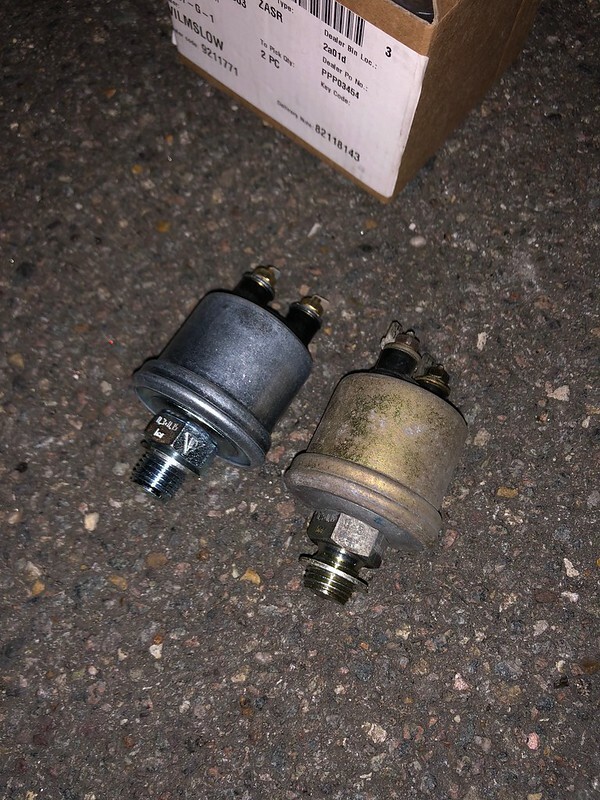 I replaced the oil pressure sender last night, 5 minute job from the point of opening the deck lid to closing and starting the car. I used a 19mm crow foot with an extension, unplugged the 2 wires, broke the sender loose and then twisted it out, new one in, twist in then tighten up. Push the connectors on, job done. Ended up going on a 1 hour drive after, pressure readings perfect, just below 3 bar hot idle as it was before the last sender failed. For reference, the sender is reachable from the top and just under the pipes in the circled area, green wire leads to it. Thanks Iain, don't you worry, I will!! Wow, I initially feared that this was going to be a nightmare job like that but thankfully, 5 minutes outside a mates house. Having to drop the engine probably would have led me to put up with the faulty sensor. Cheers Chief! Just like to keep a diary on each of the cars. They have been pretty good for checking back and remembering when I last did something. Not much happening here, enjoyed using the car over the past few week but will tuck it up for a bit now that the salt spreaders are appearing. Bought a battery isolator for it. Did have a spot of trouble over Christmas.. I could smell coolant and later in the day, I noticed some wetness under the front. 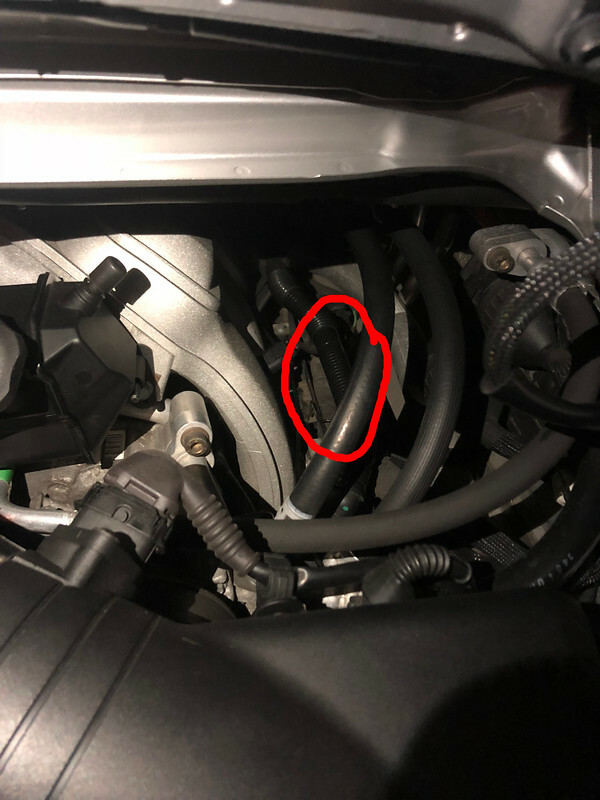 I thought something must have broken my radiator as the last time I saw them, they were in great condition... Begrudgingly, I set about removing the front bumper to take a closer look and hopefully get a new radiator before everywhere closed for Christmas. 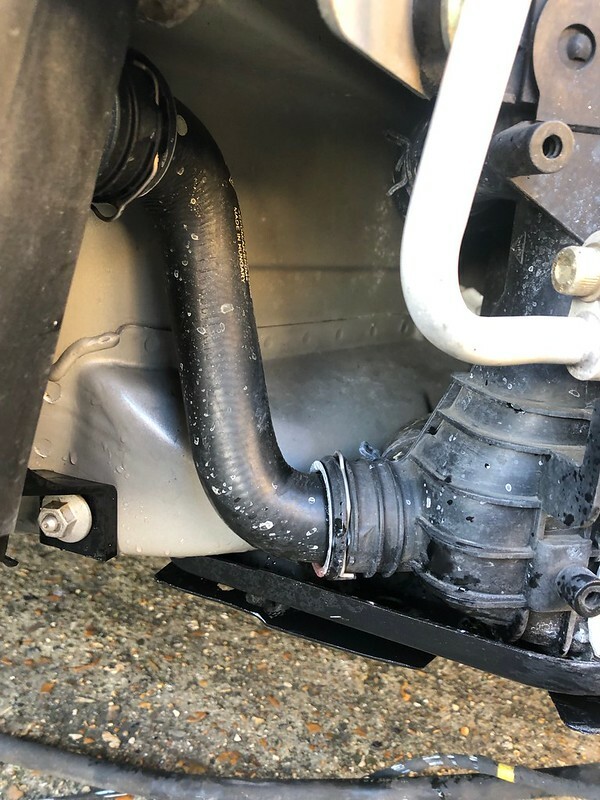 With the bumper out of the way, straight away I could see where the coolant had leaked from, it was those stupid stupid stupid push clips, well, clip which holds the coolant pipe into the back of the centre radiator, it looks like pressure had forced the pipe out. 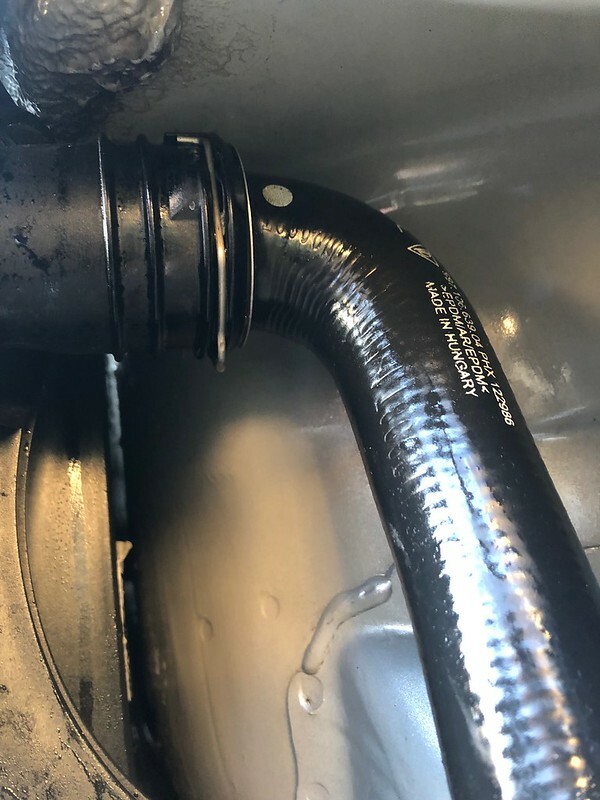 I fitted the rad approx 3.5 years ago and the coolant has always remained level so I am slightly baffled as to why it has only come loose now. Anyhow, a simple push of the pipe back in, I removed the clip and tightened it up and then refitted everything! Astounding work Mark, super detailed descriptions with great photography to back it all up. I have just spent a very interesting afternoon and evening drinking it all in.. THANKS. I find it interesting that it seems the 964 or older sports cars in general seem to provide you with a little bit extra over that which your 997 delivers, I can not say I am greatly surprised, which would seem strange as I have never even sat in a 997, though have owned a few GT`s and a few sports cars in my time. I applaud your attention to detail, and as I advanced through the 964 thread arriving at the completion of that wonderful paint job... I recalled the chap who rebuilt my fun car had done it to such a standard that to him every stone chip felt like a personal injury, and that is how I came to own it. Thus, I did wonder if that might just take the shine off (pun intended) your ability to enjoy the car as you might have otherwise done...? Me..? On the first day home with my concours condition car... I blasted it up an unmade local road with stones flying everywhere... As one who has spent time over many years with spanners, welding torch and spray gun trying to achieve perfection.... it felt painful, it really did, but I wanted to get it over with fast.... rather than risk feeling like suffering a slow death by a thousand cuts ... but then that is just me. Thanks again for sharing all your efforts, it has been a great education. Thanks for the kind post! There is something about the 964 and older cars in general, more character for certain but the feel, noise, it just creates an experience which IMO, cars after circa 2005 starts to lose. Newer cars are great but I think that is also their downfall, they are too good, they need to be pushed well over the speed limit to have fun. The 997 falls in that category, they're simply too good to be enjoyed on the road 90% of the time. Older cars, they don't need to be taken over the speed limit to get that buzz, my MX5 gives me that buzz within the speed limit, the 964, while I don't throw it around, keeps me calm while I sit within the oil perfrumed interior with a windscreen in my face and pedals off to one side, I like the character and charm of it, the noise, it offers enjoyment in a different form. The 997 is a great car but it needs to be on it's limit to deliver what it is best at. It is not a car for general road use or sticking to speed limits IMO, it just isn't fun and if I'm honest, wasted, which is why I refrain from using it for daily duties. When I do take it out, I do so when I know I will have some clear runs and I love the car all over again. So much so, as often as I do think to replace it and the options vary and change like the weather, Ferrari 360, GT3, M3, M5, 997 GTS, I just don't make the change, perhaps if 355's come down a touch, I would as that is the pinnacle of cars for me, the right era, the styling, noise, perfection in my eyes. 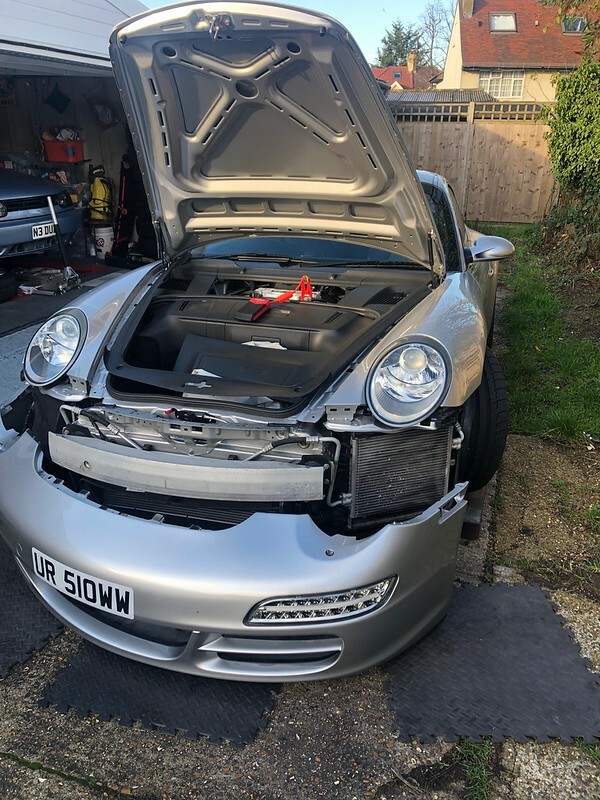 So there is a draw to the 997, perhaps a Porsche thing and a passion for the brand but any thoughts to change are soon forgotten after a decent clear run. Great thread, Mark and lovely job with the 997!!! After reading it I think I get the idea, but please tell me how it feels to move on from the e46 M3 to the 997 precisely. I was in your shoes, I think I would not have made the move if my M3 were manual, I grew to dislike the SMG. It is down to preference, the M3 is more raw and that is what I like in a car, I wouldn't say the 997 is refined like newer cars which in turn are numb such as a 991 but it is slightly more grown up than the M3, it is faster in all aspects IMO but it does that so well, without any drama and that's what I miss and now get from my MX5 turbo. The grip threshold on the 997 is far greater and I haven't explored it as I don't try to get near it on the road in fear of my license/car. The M3 was quite easy to find and didn't require license losing speed to get loose. Drive one, it may tick the box but I feel like the 997 is a good car to have alongside an M3, not replace it.